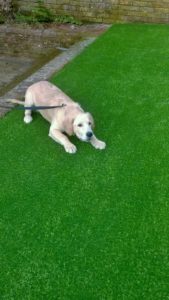 Artificial grass for homes can create back gardens for relaxation, pets and kids who like to play. 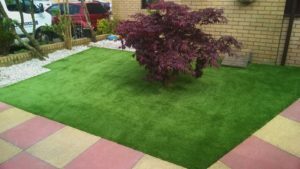 Brighten up your home front by laying fake grass or artificial grass for gardens. 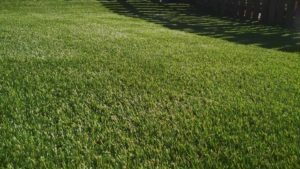 No need to drag the lawn mower out for a small patch of lawn. 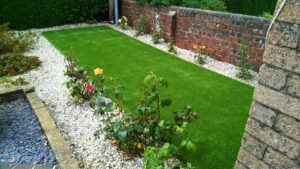 Natural looking fake garden grass, for front gardens, removes the problem of difficult and awkward maintenance and is significantly more aesthetically pleasing than paving slabs which are dull and lifeless. 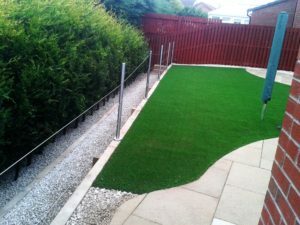 Create a unique front garden and transform your front yard with domestic artificial grass which looks good all year round and be the envy of the neighbourhood. 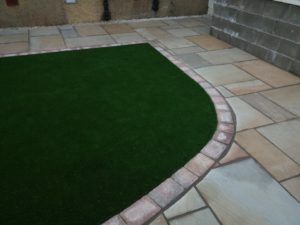 Want to make the inside of your home look like the outdoors? 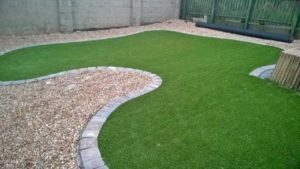 Our indoor artificial grass can be used in a number of areas including the shed, garage, conservatory and other areas of your home. 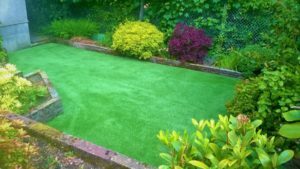 This will add a unique look to your home. 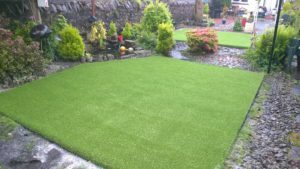 Take the stress out of the gardening by replacing your garden with our artificial grass and turf for lawns, the sensible and effective option to retain the aesthetic beauty of a front lawn or back garden, without the constant maintenance and upkeep. 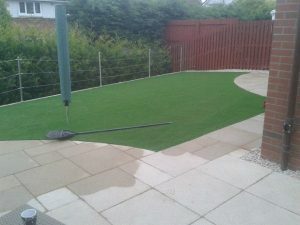 Artificial grass is the best solution for sporty families. 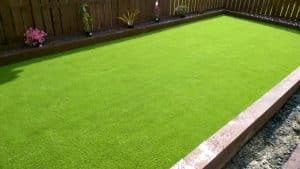 In the past, artificial grass has been developed to look like natural grass which is soft to sit on, but often not tough enough to withstand heavy usage for activities such as football. 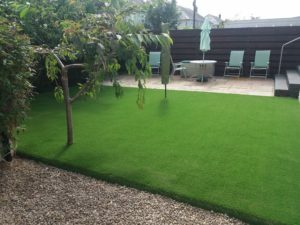 However, with recent new technology we have produced an attractive, natural looking residential artificial grass which has the added benefit of being tough, durable and versatile. 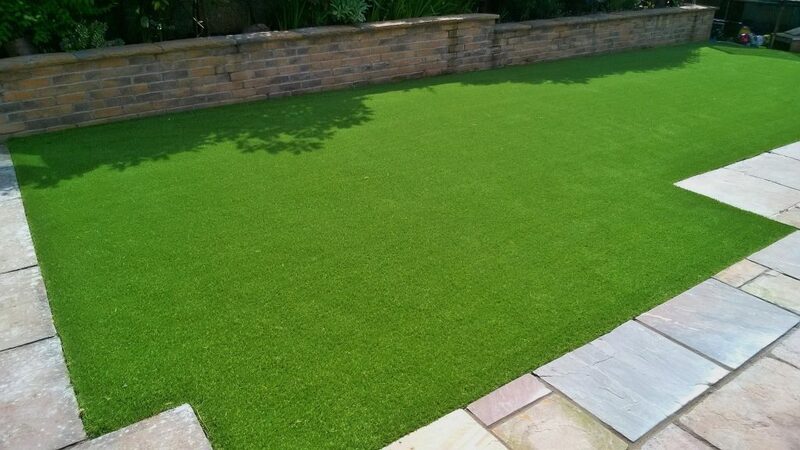 The new W-shaped yarn benefits from a natural spring-back memory and is ideal for high traffic gardens. 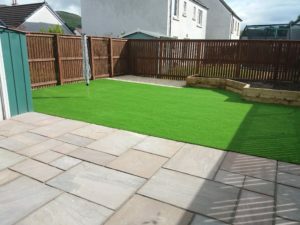 After a downpour of rain, when the sun appears, send the children out to play with the satisfaction of knowing there will be no longer a need to clean the floors on their return. 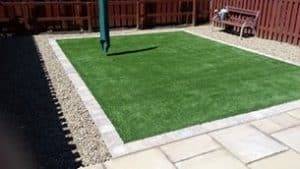 Artificial grass for play creates a safe, clean environment for little children to run, play and tumble on. 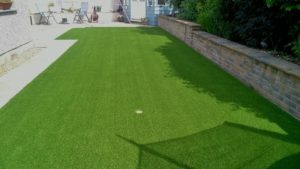 Provide a soft landing for every fall by installing our SafePlay shock-pad underneath the artificial grass. 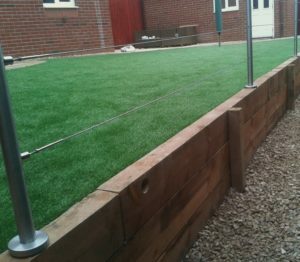 The grass can be easily trimmed to fit around climbing frames, swings or slides. 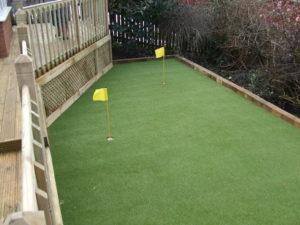 The shock-pad provides a critical fall height of 1.4 metres. 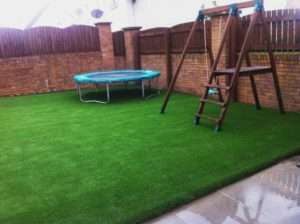 Rest easy knowing that your children are enjoying the outdoors and staying safe with our all-weather residential artificial grass. 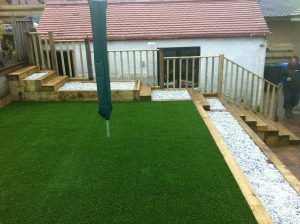 Build your children’s play garden for fun, fun, fun with or without the sun!